Come fish South Dakota’s Missouri River from Lake Francis Case to Lake Sharpe to Lake Oahe. Locally, these fisheries are well known to many for the amazing walleye fishing. There are lots of deep and shallow gravel pits and sunken islands throughout the entire river system, making it a great opportunity for clients to catch and release up to 50 – 100 walleye per day. The Missouri River in South Dakota has some of the finest walleye production areas in the world. 1/8, 1/4, and 3/8 ounce jigs tipped with a minnow and 4 to 6 pound test line are recommended this time of the year. The Chamberlain area is know for the spawning beds. Walleye move in from miles away in early spring to lay their eggs. 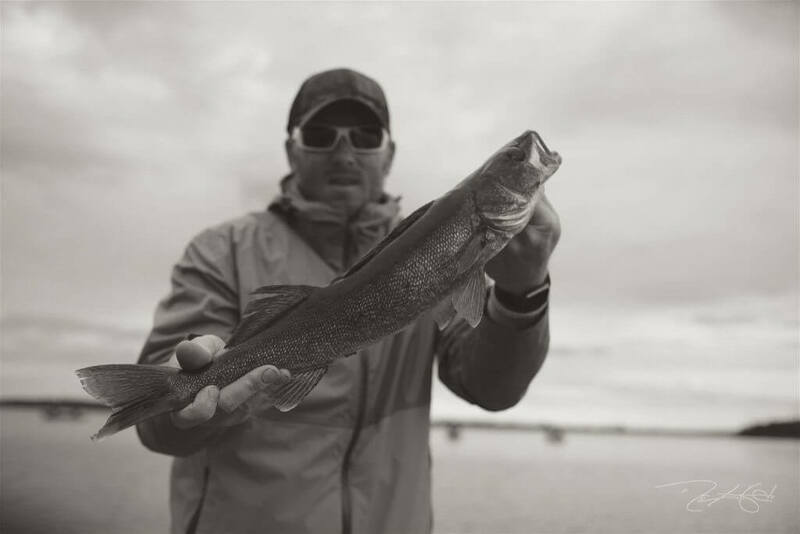 Rapalas along the shore line will produce limits of walleye. After spawn season the walleye move out. We will typically catch the walleye on spinners and night crawlers during this time. We want your trip to be as successful as possible. Our personalized walleye fishing guide service allows our clients to focus on having fun and catch fish rather than searching. As guides, we truly enjoy what we do and we sincerely care about our clients and the experience they have fishing with us on the Missiouri River here in South Dakota. Each trip includes lodging at the beautiful and scenic Diamond A Ranch in Gregory South Dakota. We will provide meals and beverages, however clients if want alcoholic beverages we ask you bring those with. There is no drinking while fishing on the boat, however clients are more than welcome to sit back at the lodge after fishing to enjoy the view. We will provide transportation to and from the landing and fish cleaning services at the end of the day.